1938. "New York, New York. 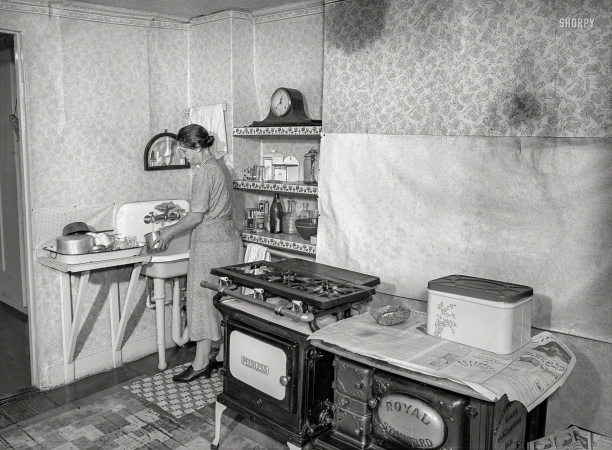 John Montefiori's sister-in-law in her kitchen at 340 East 63rd Street."